Michael Hathaway was both a seeker and a vagabond. The almost gravitational pull of Michael’s loving spirit, deep intelligence, and unstinting idealism ​— ​which so memorably so often quickly enveloped so many of the people he met ​— ​had its taproots in his mystical, German immigrant mother, his loving and erudite American diplomat grandparents, and his supremely unusual early schooling. His mother and stepfather chose to send Michael to Ojai’s Happy Valley School, an extraordinary experiment (certainly by 1950s standards) in “alternative education,” built around the teachings of Annie Besant, a founder of Theosophy, as well as Krishnamurti, Aldous Huxley, and potter Beato Wood, all prominent figures at the school. Happy Valley (now the Besant Hill School) in those Eisenhower years eclectically wed a rigorous curriculum to a thirsty, Eastern-spiritualist-inspired search for joyful encounters with the divine. The singularity of Michael’s early education served him well, though: Admitted to Stanford, he excelled at Russian language, culture, politics, and history (while also rowing varsity crew), went on to Harvard for graduate work, and then won prestigious fellowships to study at the Free University of Berlin as well as then-Communist Prague’s ancient Charles University. By his early twenties, Michael was master of seven languages and their cultures, an achievement that seemed to predict a life of teaching and writing ​— ​until the Vietnam War in 1967 led him away from Harvard to the peace movement, and soon afterward on to the national staff of Eugene McCarthy’s 1968 upstart presidential bid. Then in quick succession, McCarthy’s defeat, Michael’s painful wounding during the police riots at Chicago’s Democratic Convention, and Richard Nixon’s election pushed him on in new directions. For a time he morphed, he later recalled, into “a long-haired, VW-van-living hippie” ​— ​until, running out of money, he moved to Santa Barbara, where, through friends, he found work at the old Center for the Study of Democratic Institutions, Robert Maynard Hutchins’s legendary liberal think tank, where he found himself mixing with Nobel laureates, heads of state, poets, anarchists, philanthropists, titans, and Hollywood legends. His sojourn at what a later wag dubbed a “proto-Davos-on-the-beach” ended with his vacation visit to the magically beautiful Greek island of Hydra, where young Michael realized that the $2,000 he’d by then saved could buy the ruins of a handsome 400-year-old house on Hydra’s rocky hillside. For the next two years, he painstakingly restored the ruin with the help of his friend Yorgo and a pair of donkeys that quite grudgingly portered building supplies up the steep path from the port below. With the restoration complete, Yorgo suddenly prompted a new adventure by announcing that he was moving to Kathmandu. Michael, caught off balance but primed by Happy Valley and his mother’s mystical enthusiasms, quickly agreed to follow ​— ​with life-challenging results. The illness meant returning to Santa Barbara to recover, where, after several difficult months, he turned again in a new direction. Inspired by his friend Ralph Nader and by the thousands of then-emerging social, political, and spiritual activists, he wrote and published a gorgeous, hand-illustrated, and intensely iconoclastic Calendar of Contemporary Saints, a book fully expressive of the eclectic early ’70s, that won him high praise from the likes of Marshall McLuhan, Buckminster Fuller, Jerry Brown, and several brave members of Congress ​— ​and ended up on The Today Show, touted by an enthusiastic (but not-quite-comprehending) Gene Shalit. As the calendar’s sales took off, Michael, always restless, turned to the work of helping reshape Santa Barbara’s then-much-more-conservative political landscape. Most memorably, he cofounded the Santa Barbara News & Review, the Independent’s feisty predecessor, where he wrote, edited, designed, pasted up, and delivered the paper. 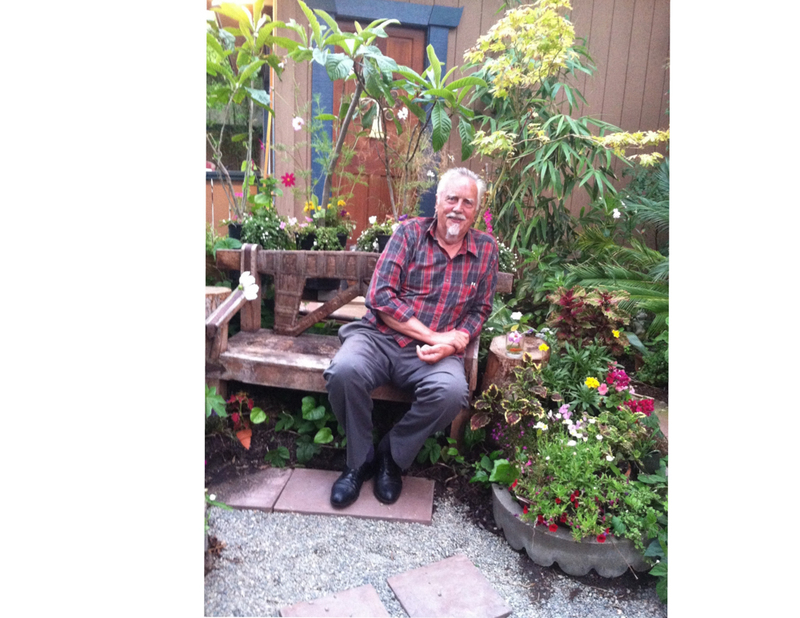 By the late 1970s, though, the vagabond spirit had caught up with him again, this time tugging him north to San Francisco and two decades as an environmental activist. Working first with his beloved friend David Brower at Friends of the Earth, he soon joined Brower in cofounding Earth Island Institute, which is wildly successful today and sponsors nearly 80 different projects all over the world, supported by 100-plus staffers and multimillion-dollar budgets. Entering middle age, he admitted recently, he sometimes briefly felt a measure of despair “as Cheney and Bush revealed themselves ​— ​as ever more astonishingly dangerous, destructive, and dishonest, more and more threatening to democracy, the world order, the environment, social justice, and more.” The Obama years restored a (qualified) measure of hope, which allowed him to rebalance his activism with more time for writing. Last year, after a decade of writing and rewriting, he completed and published his nearly 600-page The Possible Happiness of Life XXXXX, a majestic tour d’horizon not just of his kaleidoscopic life but the world in which he’d lived it, cross-cut by encounters with Aldous Huxley and Alan Watts, the mind-altering possibilities of both meditation and love-making, the centrality above all of the beauty and kindness and courage he unwaveringly believed exists in all of us (independent.com/hathaway). Shortly before Christmas last month, Michael flew to Seattle, and then ferried over to Vachon Island to spend the holiday with friends. Heading back a week later to California, he went down to the island’s ferry dock ​— ​where suddenly his chest constricted in pain. He called his friends to ask if he could come back for the night. Ten minutes later, they were driving him back to their home, where he said he was feeling better. They settled him in a big chair in front of their fireplace and fixed him a cup of tea. He took a sip, again said he was feeling better, then put the cup down ​— ​and as his eyes closed softly, his head rested forward. He was pronounced dead by paramedics shortly thereafter. A Santa Barbara memorial service will be announced shortly. Those wishing to remember Michael’s life and work may contribute tax-deductibly to the Cambridge Foundation for Peace, indicating “The Hathaway Project,” c/o Peri & Co, CPAs, Box 55228, Santa Barbara, CA 93121.